Given the increasing prevalence of expensive household goods, cars and consumer electronics, insurance has become an unavoidable and often necessary cost in modern life. Mobile phones, and smartphones in particular are no exception to this trend. 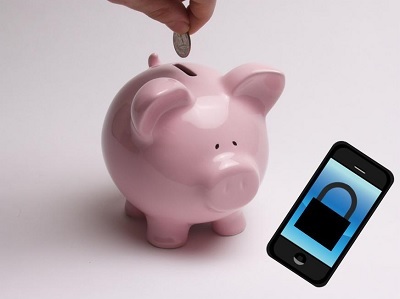 Most major wireless carriers, insurance specialists, device OEMs, retailers and even banks now offer insurance plans that cover theft, loss, malfunctions and damage of mobile phones. Many policies now also integrate enhanced technical support and additional protection features such as data backup facilities, allowing users to securely backup their phone data online. SNS Research estimates that the global mobile phone insurance market is expected for account for nearly $31 Billion in revenue by the end of 2015. The market is further expected to grow at a CAGR of nearly 10% over the next five years, eventually accounting for over $48 Billion in revenue by the end of 2020. The “”Mobile Phone Insurance Ecosystem: 2015 – 2020 – Opportunities, Challenges, Strategies & Forecasts”” report presents an in-depth assessment of the mobile phone insurance ecosystem including market drivers, challenges, opportunities, value chain, future roadmap, case studies, ecosystem player profiles and strategies. The report also presents market size forecasts from 2015 through to 2020. The forecasts are segmented for 6 regional and 64 country level markets. The controversial “kill switch” for smartphones could bring massive savings, according to a study. Lawmakers, consumers, and law enforcement officials have been considering the idea of an added mobile security feature for smartphones in the form of a kill switch, particularly since the launch of last year’s Secure Our Smartphones initiative. Now, a study has shown that by introducing the feature, the outcome would be considerable savings. The idea of the kill switch is relatively simple. The “complicated” part would be that it would require handset manufacturers and wireless carriers to take part in this mobile security effort that would provide a way to render stolen smartphones completely useless. The hope is that this would help to notably reduce the rate of cell phone theft. The only party who would not benefit from this mobile security kill switches would be wireless carriers. The reason is that the carriers would risk losing a very large amount of money every year. At the moment, they are making a solid supplementary income through the sale of insurance plans that provide coverage against the theft of cell phones. According to professor William Duckworth from Creighton University, who recently conducted a study on the subject, consumers would save an estimated $2.5 billion every year simply through the implementation of kill switches. When looked at even more closely, this represents a savings of $500 million in replacing the handsets that have been stolen, and a savings of $2 billion on the insurance coverage to provide protection against possible theft. This helps to explain exactly why wireless carriers may not be quite as excited about this feature as consumers. That said, it is important to point out that these findings have generated some controversy of their own. For example, Asurion, a cell phone insurance company, has estimated that approximately 60 percent of phones that have gone missing turn out to have simply been lost, not stolen. Moreover, they also have suggested that phones may still be targeted for theft and use for spare parts, which would still provide thieves with enough incentive to continue stealing. Still, the FCC says that 30 to 40 percent of all robberies that occur in major cities involve phone theft.